Welcome to our inaugural edition of the Cloth Diaper Column! Each month, we'll bring you some new information about cloth diapers, dust off some of our favorite content from the Thinking About Cloth Diapers website, and share a few other tidbits with you, too! April 22, known as Earth Day, is just around the corner. 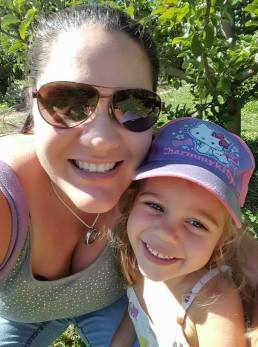 It falls on a Sunday this year, and I am looking forward to spending the day enjoying the great outdoors with my little boy. 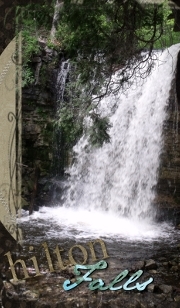 We just renewed our season pass to the conservation areas in Halton, and I'm thinking we might head out to Hilton Falls - the waterfall is beautiful in the spring! Does your family do anything special to celebrate Earth Day? Did you know that 4 million disposable diapers are sent to landfill each and every day in Canada? In the United States, the number is nearly 10x that! There are a ton of myths floating around that suggest that cloth diapers aren't more environmentally friendly than disposables. This just isn't true! If you're already using cloth diapers, congratulations! If you're not, you might just change your mind after you read our article on cloth vs. disposable diapers. Our affiliate partner, Our Green House sells natural and organic cloth diapers - and they've got a SALE on! Right now, you can SAVE $9 on Aristocrats wool diaper covers, and $2.50 on BumGenius 4.0's. Plus save $2 on Kissaluvs fitteds! Click on the link below to go straight to their on-line store. Here in Canada, I always look forward to spring. After a cold, dark winter, it's always so refreshing to crack open the windows, and dig around in the flower beds. 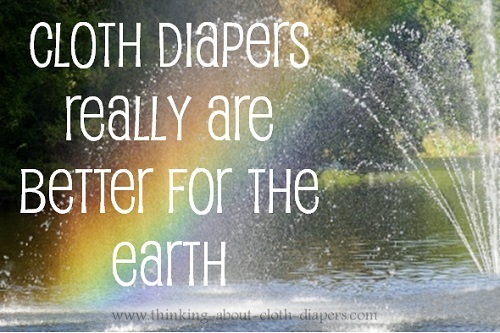 It's also a great time to sun out some of our diapers that are looking a little grey! The sun can provide some serious cleaning power for cloth diapers. Lots of cities are changing their bylaws to allow clotheslines. If you don't have the space for a clothesline or your city's not keeping up, Amazon has a great selection of portable dryer racks that will do the same job! Spring also seems to be baby shower season! 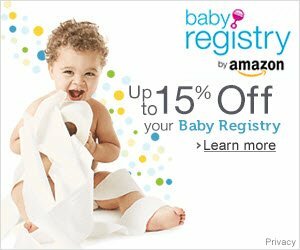 Are you planning a baby shower, or do you know someone that is expecting? We've got lots of baby shower gift ideas here. Even if they don't plan to use cloth diapers, we share ideas to help you put together a fantastic, personal gift basket, PLUS a list of Gifts Under $30. What started out as an Earth Day celebration held by one diaper service company, has grown to record-setting levels! The Great Cloth Diaper Change creates an opportunity for cloth diaper advocates and diaper services to demonstrate the use of cloth diapers to other parents. The program has grown to include 127 locations in 5 countries in 2011. This year, the goal is to beat their own their Guinness World Record, set in 2011, for most cloth diapers change simultaneously. Want to participate? Visit greatclothdiaperchange.com to find a Diaper Change near you! We're just getting started with our newsletter and would love your support! Please take a few minutes to encourage your friends to sign up to get our Cloth Diaper Column! We've made it easy, just click on this link to send this newsletter to a friend. If you haven't yet entered our wet bag contest on Facebook, head over to our fan page, and click on the "Enter Our Contest" link found just under the new timeline photo. Don't forget to show your support by clicking "Like" too! Hurry, our contest ends this Sunday, April 15th 2012, at 9:00 AM EST! Recipe used with permission of Kids-Meal-Ideas.com. The following link offers complete preparation instructions and ideas for other summer-time meal ideas. That's all until next month! I'm heading out to hang a load of laundry on the line and enjoy the great spring weather, and hope you will too! PS - please feel free to drop me a line if you have any questions or ideas for our next Cloth Diaper Column, coming in May!